It’s just the Bluetooth adapter for ooma. Local pickup is available for free. Part Number: 00002794. The amount is calculated at check-out. Conditions: Used, in good physical condition, tested working. Support GSM Frequency 900MHz & 1800MHz. 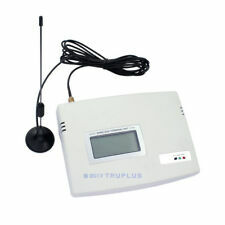 Supported Frequency GSM 900 MHz (Transmit: 890~915MHz; Receive: 935~960MHz). Supported Frequency GSM 1800 MHz (Transmit: 1710~1785MHz; Receive: 1805~1880MHz). 1 x GSM Gateway. This adapter has great sound quality for static free operation! This power adapter has the correct specifications for trouble free operation, We will pre-test each for great sound quality with the Magic Jack Plus! That's Ooma. Crystal clear nationwide calling for free and low international rates. Easy to set up. Even easier to use. Area Code Selection. Keep your current phone number. Online call log. Free U.S. calling. Six months free local and long-distance calling to the United States, Canada, Puerto Rico and the US Virgin Islands, along with all the other great. magicJack features are included with your initial. Not for use with other devices. Auerswald COMfortel XT-PS Netzteil für COMfortel Serie Rechnung NEU inkl. MwSt. Große Markenvielfalt. Wir beraten und unterstützen gerne vor und nach dem Kauf! Alternative Streitbeilegung gemäß Art. 14 Abs. Gewährleistung: 12 Monate gesetzliche Gewährleistung auf Gebrauchtware. 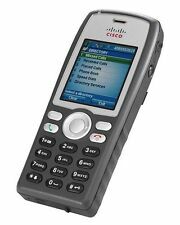 Taken from a working office setup the SPA500S attendant console connects to your existing cisco phones. complete with stand, cabling and screw connection. The phones are ideal for boardrooms, conference rooms, auditoriums and executive offices. The Panasonic KX-TGP600 is a SIP Dect Cordless handset & base unit set. The system works with your KX-TPA60 and KX-TPA65 phone systems. 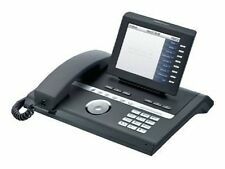 SIP DECT Cordless Handset & Base Unit. 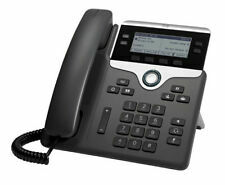 The phone system is expandable up to 8 handsets, so adding an extra handset is quick and easy. 1 U nlocked SPA2102 Phone Adapter. Linksys ATA Administrator Guide. Dual ports to connect existing analog phones or fax machines, or to a PBX system. Two voice ports (RJ11) for analog phones or Fax machines. Yealink SIP-T19P E2 SIP-T19P. Entry Lev IP Phone. 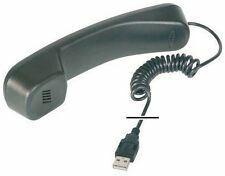 SIP-T19P, Entry Lev IP Phone. Ooma Telo Free Home Phone Service opened box NEW! Box is still factory sealed. Linksys ATA Administrator Guide. Call Waiting, Cancel Call Waiting. Call Forwarding: No Answer / Busy / All. Call Transfer. Call Back on Busy. Call Blocking with Toll Restriction. Selective / Anonymous Call Rejection. DON'T PASS UP! we will always leave you satisfied. Power Adapter Has Been Tested And Works With The Magic Jack Plus, Magic Jack Go. For the student or professional executive on the go, this power adapter is a must! MAGIC JACK PLUS PHONE SYSTEM & CABLES ARE NOT INCLUDED! Netzteil Ausgangsspannung Polycom HD Voice. - Die einzigartige Sprachqualität von Polycom HD Voice macht Ihre Anrufe effizienter und produktiver. Anrug ohne Abheben Dual Gigabit RJ45 Ports. Built-in auto sensing IEEE 802.3 af Power over Ethernet. Linksys ATA Administrator Guide. Off-Hook Warning Tone. Hot Line and Warm Line Calling. Call Forwarding: No Answer / Busy / All. Call Waiting, Cancel Call Waiting. Power Adapters 1 (Input: 100-240AC, worldwide compatible). 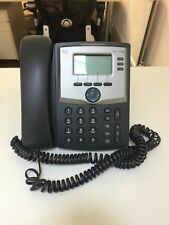 Elmeg IP-290 schwarz VOIP Phone IP290 mit Netzteil / inkl. MwSt. Mit Netzteil. kein weiteres Zubehör. - Akkuzustandsanzeige und Feldstärkeanzeige. große Markenvielfalt. - Anzeige der Uhrzeit im Ruhedisplay. gebraucht, gereinigt, getestet. Das Gerät befindet sich in einem voll funktionsfähigen Zustand. Single button Intercom with keypad and Fob reader- POE. Corded: All IP phones supporting SIP protocol should work. Keypad and fob reader entry by defaul t. PoE (Power over Ethernet) or 12V DC external power source (Not Included). AC POWER ADAPTER FOR THE MAGICJACK PLUS. For the student or professional executive on the go, this power adapter is a must! Power Adapter Has Been Tested And Works With The Magic Jack Plus Only. MAGIC JACK PLUS PHONE SYSTEM & CABLES ARE NOT INCLUDED! SALE NOW 2nd 3rd Item FREE SHIPPING+75% OFF $20 RETAIL! Product Line: Polycom VVX. VoIP Protocols: SIP. VoIP phone. Type: VoIP phone. Main Features: Integrated Ethernet switch, Multiline support, Power over Ethernet (PoE) support. Power Over Ethernet (PoE) Support: Yes. Comes with power cable and receiver. Ready for use. Brocade (6). Cisco (40). Hard Drive (10). Tape Drive (2). 1x Power Cord. PREVIOUSLY OWNED, TESTED FOR KEY FUNCTIONS = Tested for Key Functions, R2/Ready for Resale. 1x Power Adapter. This item is in used but good working condition.